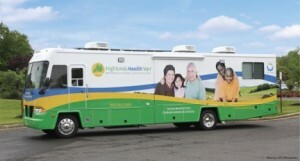 Zufall Health Center’s Highlands Health Van will be at NewBridge Services,1259 Route 46, Building 2, in Parsippany, on Tuesday, December 15, from noon until 5 p.m. to provide medical care to anyone who needs it. To schedule an appointment, contact Zufall Health at (908) 968-0898 or inquire with NewBridge staff at (973) 316-9333. Walk-ins are welcome.The 37-foot-long van has two exam rooms and an intake/waiting area. 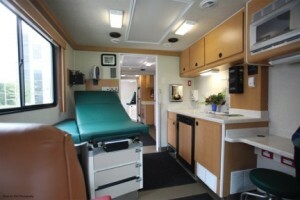 Zufall accepts Medicaid, Medicare, Family Care, and private insurances. Fees for patients without insurance are based on income. Zufall Health is a fully licensed, Federally Qualified Health Center (FQHC) that provides high-quality, affordable, compassionate medical and dental care to residents of Morris, Sussex, Hunterdon, Warren, Somerset, and Essex counties. NewBridge Services is a nonprofit provider of counseling services, housing and educational programs in northern New Jersey, serving more than 8,500 children, adults and seniors each year. The program is supported by a grant from Johnson & Johnson corporation.